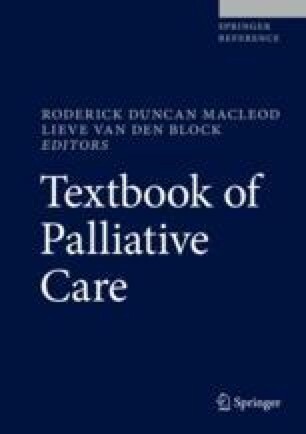 Malcolm LM, Mein G, Jones A, Talbot-Rice H, Maddocks M, Bristowe K. Strength in numbers: patient experiences of group exercise within hospice palliative care. BMC Palliat Care. 2016;15(97). https://doi.org/10.1186/s12904-016-0173-9. Morgan S, Williamson T. How can positive risk taking build dementia friendly communities? Joseph Rowntree Foundation. 2014. Available here: https://www.jrf.org.uk/sites/default/files/jrf/migrated/files/Positive-risk-taking-dementia-summary.pdf. Accessed on 27 June 2017.
WHO Global Health and Aging. 2011. Available here: http://www.who.int/ageing/publications/global_health.pdf. Accessed on 28 June 2017.